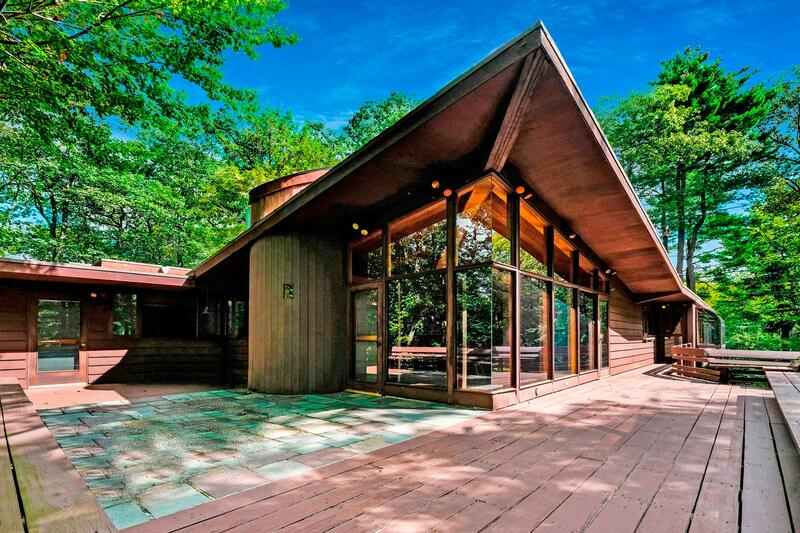 SOLD [MULTIPLE OFFERS]: 990,000 THE NEWMARK HOUSE, ARCHITECT DAVID HENKEN, 1957. David Henken designed this home embracing the union of nature and architecture. Nested atop a private zen-like oasis, 11 Laurel Lane is integrated into the landscape using the natural topography while conceptualizing the modernist lifestyle. Architectural design inclusive of cantilevered rooms, mitered corner glass, clerestory windows, slate floors, wood decks and an indoor-outdoor flow all take advantage of the lush surroundings. This home, treasured by the current (original) owners, was expanded over the years yet always sensitive to the objective of the original architecture. The addition of the in-ground pool and pool house further enhanced the grounds livability and usage. The interior of the home is filled with fine woods, exceptional masonry work that adds warmth, and walls of glass which enrich the soul. The layout offers numerous options for livability. Bonus property across Laurel Lane has access to the Laurel Lane Pond. BY THE NUMBERS: 5,121 SQUARE FEET, 5 BEDROOMS, 3 BATHROOMS, 1.96 ACRES, 1 SWIMMING POOL & POOL HOUSE, 3 FIREPLACES.